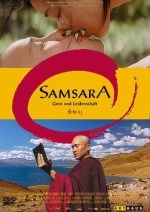 The movie questions most beliefs of Buddhism and provides different points of view of the things the religion calls evil. There are questions posed and answers given… the true understanding of those answers are in the teachings and beliefs of the Buddhists. 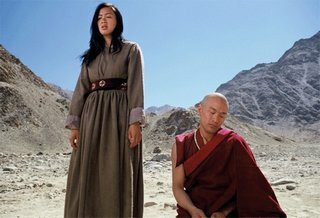 The last few scenes of the movie bring to focus a series of events that happened right through the movie and squeeze out meaning and direction from them. I highly recommend this movie and think this is one movie people who question religion a lot should watch. The movie contains a lot of (sexually) graphic-scenes and viewer discreation is adviced. [SPOILER WARNING] the end of the movie discussed below this line. I read different versions of the end of the movie here: Discussions The last couple of comments(by hultanu_hutsul and cv313620) caught my eye and I totally agree with them. The question that is shown at the start of the movie is “How will you stop a drop of water from ever drying up?” and the answer is given towards the end “By throwing it into the ocean.” Remember the question Pema asks the kids when she throws the twig into the river “Where will this twig end up?” The right answer was “the ocean”. 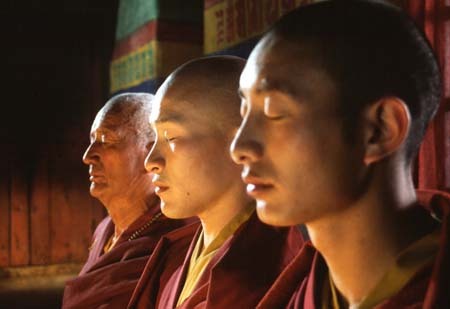 Buddhists believe in rebirth like water which gets evaporated and comes back as water when it rains. The process of cycles of life(water) and death(evaporation) and rebirth(rain) can be stopped by merging with the ocean(enlightenment). The part at the end where Pema explains to Tashi and then drops the box they used to give as a wish for a safe journey implied that Tashi would be taking a long journey now, whether it was back to the village or to death is not clear. The part where Pema disappears after she drops the box shows the Buddhist belief that all of life is like a dream. 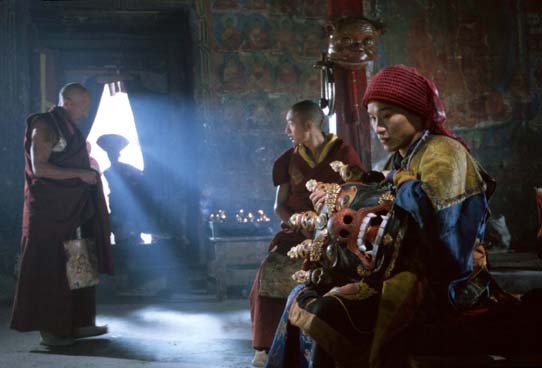 Remember the first time Pema and Tashi unite, Tashi assumes it as a dream. When she disappears Tashi realizes that all of life is an illusion and thats why cries to find peace from this world. That is when he goes to the rock and reads the answer to all his questions. 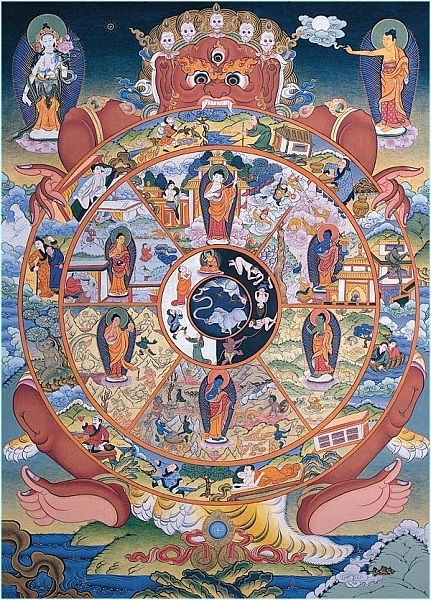 I believe the eagle at the end releases a stone and kills Tashi, allowing him to merge with the ocean finally giving him his much deserved enlightenment.